Experience the next generation of assembly exercises with GUNT. 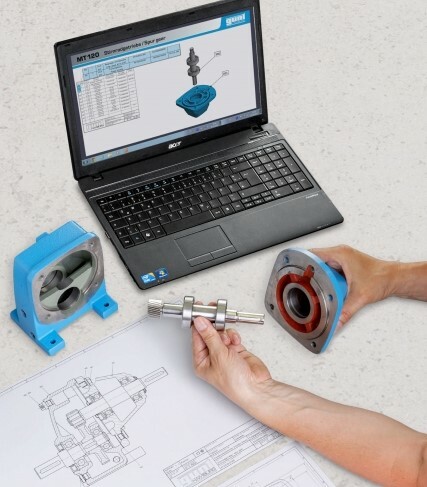 Proven assembly exercises, paired with interactive digital data result in a completely new learning concept and provide access to industry 4.0 understanding. GUNT’s assembly exercises come with perfect storage systems and full access to all digital data. 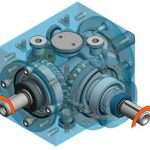 The MT 120 unit is a spur gear unit with helical gear wheels. The gear is single-stage and has a fixed transmission ratio (fixed gear unit). Helically cut gear wheels run more smoothly and quietly than straight-toothed gears because the gear teeth intermesh gradually and multiple teeth are engaged. 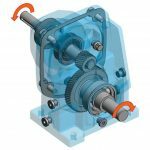 The MT 121 unit is a mitre gear unit with spiral bevel gear wheels. This single-stage gear is used to change the transmission direction and for branching. It is possible to connect two consumers. 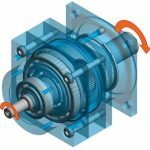 Planetary gears transmit and often increase torque while reducing speed at the same time. They are often used in wind power plants and as an automatic transmission in automobiles.